As a manager of a manufacturing company, how would you cope if one of your warehouse machine operators passed out at the wheel of his truck and bulldozes into neighbouring community property and, though unhurt, has caused significant damage to these buildings? Crises are abnormal and unstable situations that threaten an organisation’s strategic objectives, reputation or viability. They arise from many different causes but, regardless of the trigger, the consequences of a crisis for the organisation and its stakeholders can be significant. A crisis can threaten the continued existence of the organisation but, it’s important to note, it can also present opportunities for the well-prepared organisation to emerge stronger than before. Global Edulink, being one of the UK’s leading online learning providers and a worldwide business player, understands the devastating impact a crisis can have on an organisation leaving it unable to cope with the event and successfully re-build. As such, we’ve provided this Fundamentals of Business Crisis Management course that will giving you the building blocks of understanding how to manage this process. It’s expertly designed by crisis and recovery industry experts to improve the individual and collective ability of incident management teams to deal with such disruptions. On completion of the course, you can be assured of being well-versed in the fundamental strategies required to competently deal with crises. Those considering the move into a business crisis management role. Successful candidates will be awarded a certificate in Business Crisis Management. 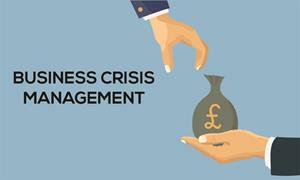 Fill out your details to find out more about Business Crisis Management.